The fourth game of the IPL between the Rajasthan Royals and the Kings XI Punjab is all set to take place on the 25th of March at Jaipur. The Rajasthan Royals had a mixed season last year, where they just managed to scrape through into the playoffs finishing fourth. Having lost Steve Smith as captain, they found it tough with Ajinkya Rahane struggling for confidence, moving up and down in the order. Tactically, they went wrong on a few occasions. Apart from this, Ben Stokes was a big disappointment for them, who they had high hopes on. Jos Butler, on the other hand, was a huge positive for the Royals opening the batting. The Kings XI Punjab really had the most bizarre tournament anyone can think off. After winning 5 out of their first 6 games, the ended up 7th in the table, just managing to win 1 out of the remaining 8 games. The problem they had was that they were a very top heavy batting side, with the middle and lower ordering almost contributing nothing. They relied heavily on KL Rahul and Chris Gayle to post big scores game after game for them to be competitive. KL Rahul had an amazing season, while Gayle, after not featuring in the first few games, started well, but tapered off in the end. The Rajasthan Royals, unlike before are ready to break their bank for certain players that they really want. They have got back Jaydev Unadkat in spite of having a poor season for them in the previous year based on his recent form and capability. They have also gone for more pace options like Oshane Thomas and Varun Aaron. Liam Livingstone is another player who has been growing through the ranks in England cricket, and is a good back up option for them, who might have to play an important role at the back end of the tournament. An important buy was the recent sensation Aston Turner who really impressed in the recent series against India and could play an important role for the Royals. The Kings XI Punjab is another team who has spent a lot of money for some players. Uncapped spinner Varun Chakaravarthy was a player they spent Rs 8.4 Crores on, who is supposed to have a number of different variations. Another Uncapped player they spent a lot of money on is young wicketkeeper-batsman Prabhsimran Singh. They have also gone for a few all-rounders like Sam Curran and Moises Henriques. Other Major option they went for was Mohammed Shami to strengthen the pace bowling department. The Royals have had the edge over the Kings XI Punjab winning 10 out of 17 games they have played against each other, with one game producing no result. However, at Jaipur, The Royals have all 5 games that they have played against the Kings XI Punjab. Steve Smith, from the Rajasthan Royals, will be a player that everyone will be interested in watching, to see how he's going to play, after not being a part of Internation cricket in the past 12 months. He will be looking to get off to a good start in the first match, to get all the doubts out of the way. KL Rahul, from the Kings XI Punjab, will have to produce another exceptional season with the bat for Punjab to stay in contention. He will be looking to gain some confidence from this year's IPL that he might have lost in the last year, underperforming for India. The Rajasthan Royals will not have Aston Turner available, but they have enough firepower amongst the foreign players. They will have to get their combination right with the Indian players. The Kings XI Punjab with a top-heavy batting line up again will have to find the best balance of all-rounders and bowlers. David Miller will not be available for the first game. Jaipur has been a pitch which is slightly on the slower side and bigger boundaries. It can assist spinners and bowlers who take the pace off the ball. A 155 to 170 score game can be expected at Jaipur. The Rajasthan Royals will start as favorites with their record at home being exceptional. It will take a special effort from either KL Rahul or Gayle to pull off a victory here. 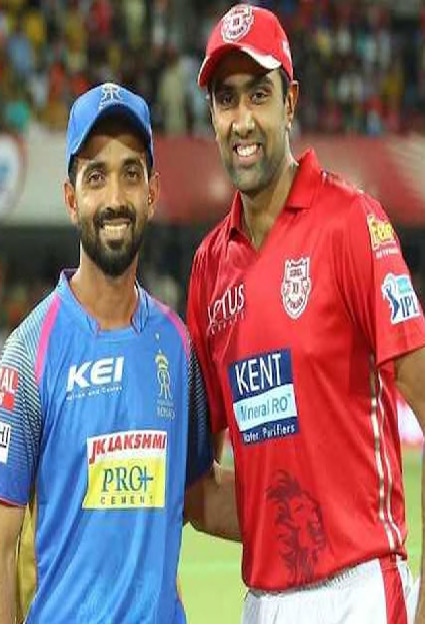 Both these teams are led by captains who have been a big part of India’s Test match setup but have been forgotten players in the Limited overs format and they will be looking at this IPL to prove themselves again and get back into contention.